Our attorneys are experienced and effective in their fields of legal practice. 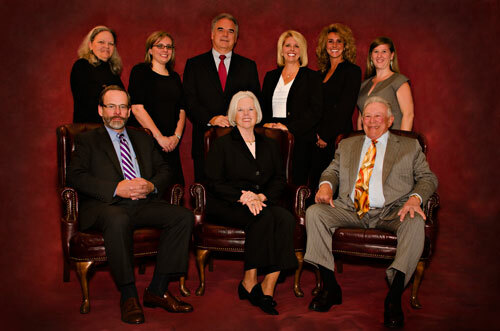 Caputo Brosnan lawyers serve as corporate officers, board members and as trustees of various entities. We feature a Certified Public Accountant, a Certified Financial Planner, a licensed real estate broker, a former TIFA committee member and a licensed residential builder. Our firm includes Circuit Court Mediators, a former American Arbitration Association arbitrator, a FINRA arbitrator and a Business Valuation Expert. Our criminal law practice is enhanced by a prior Warren Crime Commissioner. Our lawyers have served the legal community as a president of a local bar association, a member of the State Bar of Michigan Elder Law and Advocacy Council, a chairman of the State Bar of Michigan Taxation Section Business Entities Committee, and co-chair of the Macomb County Elder Law Committee. Two of our attorneys are accredited by the Veterans Administration. Of special note, one of our attorneys was appointed by the Michigan Attorney General to be a Macomb County Public Administrator.